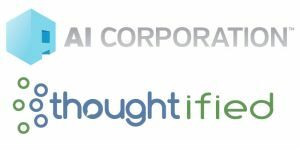 Software development company Thoughtified Limited has been acquired by the ai Corporation Limited for an undisclosed amount. The founders self-funded the business originally and successfully raised funding from the Technology Strategy Board for projects in healthcare, conservation, facilities management and business analytics. Since the company was formed just under four years ago it has developed expertise in a number of areas, and delivered its own solutions as well as products such as MDT-FIT for the National Cancer Action Team (NCAT) and Tiger Nation for tracking the last remaining wild tigers and gaining global interest. Following the acquisition, Thoughtified will continue its work in advanced Web development and will focus on predictive analytics and visualisation of big data, particularly in the financial sector. Aaron Mason and Georgios Michalakidis said: “We are delighted to have joined forces with the ai Corporation. Thoughtified has been keen to expand further into the business and transaction analytics area and this acquisition will provide the company with great opportunities in the future“. Nick Ryman-Tubb, CTO of the ai Corporation, said, “Thoughtified have amazing technology that I believe will bring about a change in how we detect and manage fraud. They have a dynamic and creative team and I am delighted that we will now be one team using advanced computing, based on the latest research, to help slash the multibillion annual global fraud problem”. Thoughtified Limited (www.thoughtified.com) is a University of Surrey spin-out company that was formed in 2009 by graduates Aaron Mason and Georgios Michalakidis. The business focuses on developing intelligent software for internet-based systems that makes use of geographic, enterprise and mobile information of varying scale. Thoughtified has gathered numerous awards as it develops location-aware and data processing technologies. Thoughtified makes it easy to commission custom built, technically advanced software systems and Web platforms. aiCorp (www.aicorporation.com) is a successful, growing software solution provider in the payment fraud prevention market. Founded in 1998, they have created the industry leading RiskNettm product that today protects over a hundred banks, 3 million merchants, 100 million Cards and 10 billion transactions from fraud. Customers include: Visa, Barclays, HSBC, WorldPay, Standard Chartered Bank, Société Générale, and Global Payments. Today, their RiskNettm product combines a best-of-breed rule-based system with dynamic models and scoring to create a pro-active defence against the changing patterns of fraud.